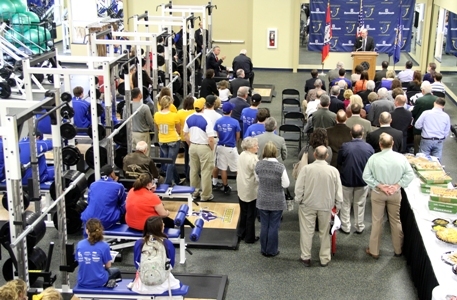 Friends and family gathered on Wednesday, February 29, 2012 for the dedication of the Ribble Strength Training Center. 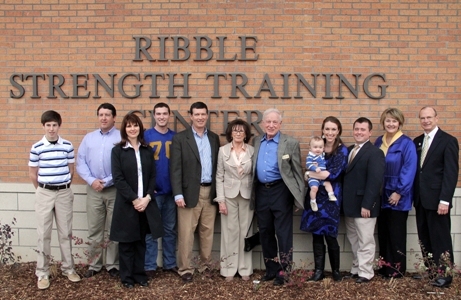 The naming of this facility, which was a complete surprise to all who attended the dedication ceremony, was in honor of Ronnie Ribble by the Alan Ribble Family and the Barry Ribble Family. Ronnie Lee Ribble was born January 26, 1936 in Ellis County, Texas. He grew up on Eudora, Arkansas, until receiving a scholarship and traveling to Southern State College in 1954 to play football for Coach Auburn Smith. During his senior year, he received the team’s Sportsmanship Award. In 1957, he married the SSC Homecoming Queen, Patricia Baker. 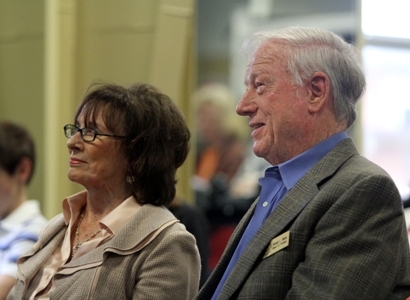 Ribble graduated in 1958 and lived 30 plus years in Magnolia working for Southern Extrusions and it’s successors. 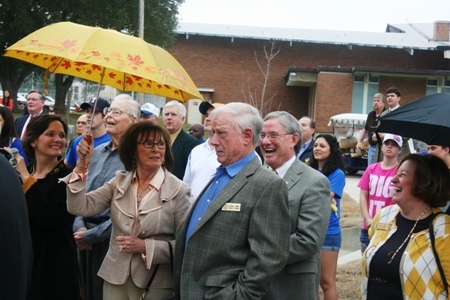 He was involved in various civic organizations, including serving as past President of the Magnolia Chamber of Commerce and a long-time member of the Magnolia Rotary Club. Ronnie currently lives in Hot Springs with his wife, Camille. He has always been a great supporter of SAU with his presence at various events and financially with scholarships. 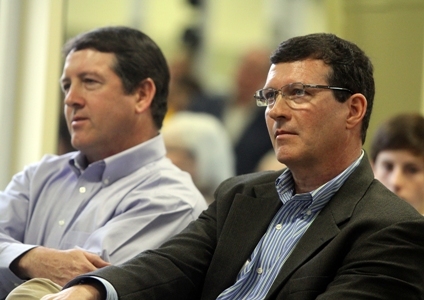 He currently is serving on the SAU Board of Trustees.